French women have a timeless quality that's hard to put into words. It's a combination of not looking like they tried and somehow appearing perfectly put-together. It's not something that can be readily taught, but these 11 women make it look easy. Every one of the French women featured here is as chic as can be and each is all over age 40. Not only that, but they seem to get cooler by the decade and make fashion over 40 look easy. The women we're calling out include actresses, fashion editors, and former models, but there's nothing flashy about their style. They clearly have the fashion industry at their fingertips, but their classic aesthetics are indicative of French women in every field. Check out their cool confidence ahead and start looking forward to getting older. Keep scrolling to see which over-40 French women inspire us and to shop pieces that they'd surely love at the end. 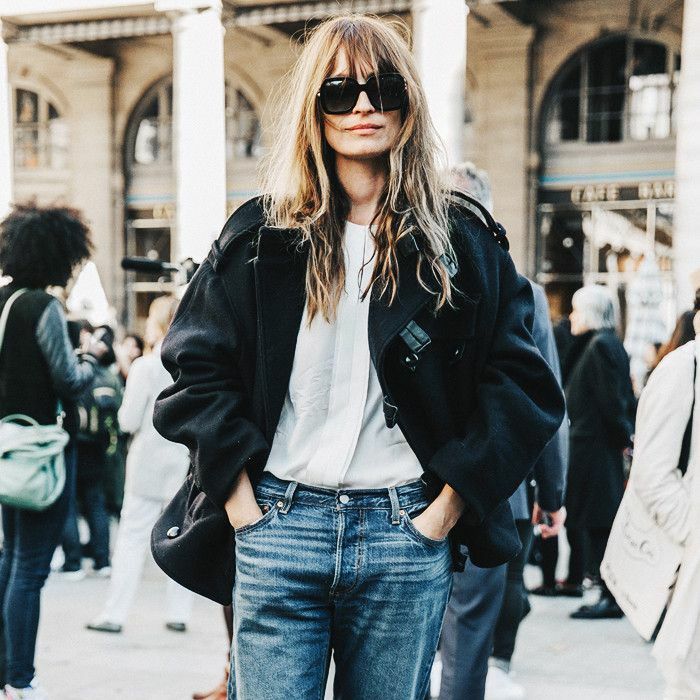 Caroline de Maigret is a model and the co-author of How to Be Parisian Wherever You Are. Carla Bruni is a songwriter, former model, and former French first lady. Marion Cotillard is an Academy Award–winning actress, a musician, and the face of Lady Dior. Emmanuelle Alt is the current editor in chief of Vogue Paris. Isabelle Huppert is a veteran actress who was recently nominated for her first Academy Award for her work in Elle. Vanessa Paradis is a model, singer-songwriter, and actress who is a front-row fixture at every Chanel runway show alongside daughter Lily-Rose Depp. Juliette Binoche is an Academy Award–winning actress for The English Patient and perhaps best known for her starring role in Chocolat. Inès de la Fressange is a model, style icon, and author of Parisian Chic City Guide. Is the 4-Piece French Uniform Actually Very "American"? Formerly the editor in chief of Vogue Paris, Carine Roitfeld now runs CR Fashion Book and is the global fashion director of Harper's Bazaar. Catherine Deneuve is an actress (having appeared in over 100 films) and one of Saint Laurent's original muses. Garance Doré is a photographer, illustrator, blogger, and author of New York Times best seller Love Style Life. The French are loyal to their skinny jeans. Want the Parisian look in an instant? Get a pair of Repetto oxfords or ballet flats. A double-breasted blazer makes every outfit better. This quintessential French print is trending again this season. Behold the sophisticated French outerwear style of choice. Available in sizes UK8 to 12. Do as the French do and casually knot this around your neck. Throw this on with a pair of jeans and pumps for an instantly polished outfit. 10 out of 10 chic French women have high-waisted wide-leg trousers in their closet. Next up, 10 secrets to dressing like the world's chicest French women. This post was originally published on an earlier date and has been updated.